Many of you will remember the 1990’s when Netscape took a huge chunk from Microsoft’s web browser: IE’s 90% market share. In fact it was during these web wars that the mighty Netscape was taking down by Microsoft. What happened doesn’t matter today. 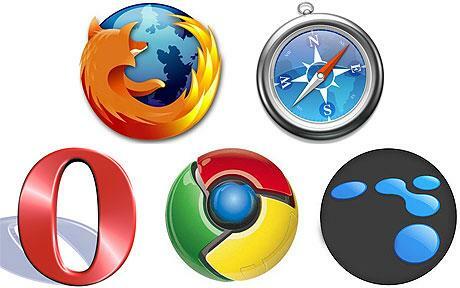 What matters today is that Firefox is being intentionally let sink below the other browsers. Chrome, Google’s web browser is winning the race this time. It is faster and more people are switching over to Chrome. Even Apple’s Safari and Microsoft IE8 are gaining ground. This is serious. I was a former Netscape user and NEVER did like IE and still don’t. This is sad times again; a decade since Netscape faded away. To be honest, I have been test-driving Chrome and find it very interesting and fast. The only hold back to Firefox for me right now is a app that I happen to use that isn’t available for Firefox. However, I just might forget about the app and make the complete jump toChrome and click that little checkbox that asks something like: “Do you want to make Chrome your default browser?” Answer is soon to be YES 😦 not without regret.